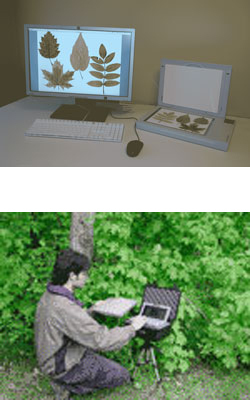 Leaf Area Analyser Model WinFOLIA uses the TWAIN1 protocol to communicate with scanners and get images directly from them (without saving them to disk) in a very fast process. There are many versions of TWAIN and some features are not mandatory for a scanner to be TWAIN compliant. Regent Instruments cannot test all scanners and drivers available on the market so we do not guarantee that they will be compatible with all features of WinFOLIA. We have tested and selected a few models that are representative of their categories and we offer them for sale with WinFOLIA as complete systems (WinFOLIA can also be purchased as software alone). These models meet the requirements for precise scientific work and we give them a speed rating to help you choose one. There are important differences in terms of image quality and speed among different models. We retain those that are robust, reliable, will last long and which come with good warranty support from their manufacturer. With all scanner models it is possible to scan leaves using the scanner manufacturer program, save the image to disk and then open and analyse those images in WinFOLIA2. This process is slower than TWAIN because it involves two extra steps. Scanners are mainly made for artistic applications. When you set it to scan at 400 dpi, it might in reality scan at 392 or 410 dpi. This is what our calibration compensates for. Our calibration is permanent and is automatically used by our programs to compensate for differences among scanners so that data produced by different models or different units of the same model will give similar results. Our calibration also compensates for differences when using a single scanner under different conditions such as when measuring an object at various orientation on its scan area and, for dual lenses scanners, when using different lenses. The scanners come with additional instruction manuals that explain how to install the scanner with our accessories and how to scan biological samples for analysis with our programs. These help you to get the best images from it and to save time by giving some tips that are specific to the scanner that you have purchased (optimising it for speed vs. accuracy or avoiding frequent beginners errors). We know the scanners we sell for using them in the same conditions as you with WinFOLIA so we can easily help in case of problems. Because testing scanners is a continuous non-neglectable time and money investment, we do not disclose the scanner models we sell, neither do we give our opinion on specific models. If you prefer to buy a scanner locally, we suggest to test it before purchase and to select a reseller that will be able to assist you after as Regent Instruments will not provide technical assistance for scanners not purchased from us.